Of course, the palace is a wonderful place to visit to admire intricate Thai architecture. 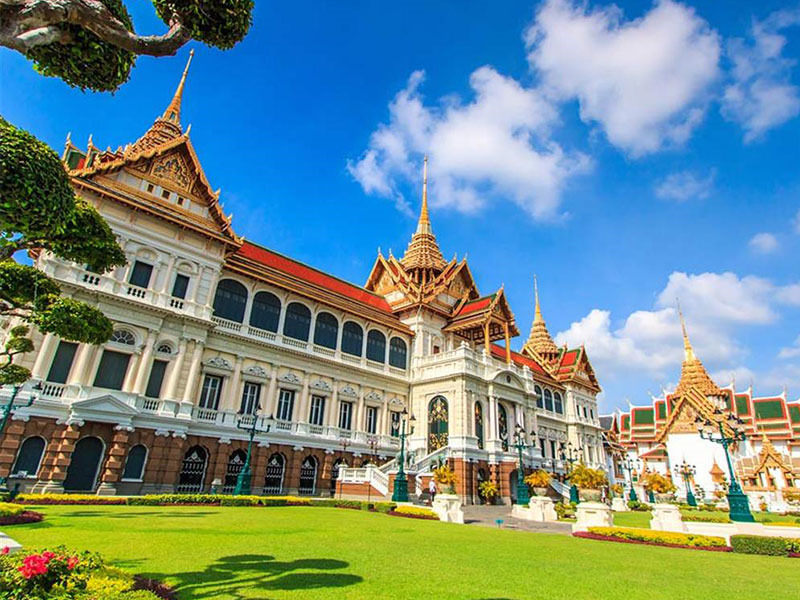 Built in 1782, the Grand Palace was the home of the Thai king, royal family, and administrative government for 150 years. The Emerald Buddha, known to Thais as Phra Kaew Morakot, rests here as a monument to Buddha. It was crafted from one immense slab of emerald as far back as the 15th century. Let go of the tourist experience for a moment and instead spend a couple of hours appreciating how many locals really live. Take in the wooden shacks placed on stilts, taller houses built from brown, splintered plank, and the small huts built by the river. Though many people have relocated to more modern housing, some people still enjoy the quiet life along the Bangkok Thonburi Khlongs. Just the name - the Temple of the Dawn - is enough to indicate the splendour of this place. However, it is nothing compared to the shiver that will run down your spine when you see the magnificent figure of the temple at sunrise. It was built back in the early 1800s using the ancient Khmer technique. The intricate floral stupas are sure to impress you. Take the opportunity to learn a little bit of history about the Rattanakosin period while you are there. You’ll surely get hungry while exploring the city, and Chinatown is a great place to grab some grub. This market has been operating for many years, and the options are extensive. Whether you are in the mood for some birds nest soup or Peking duck, Chinatown has it all. Your taste buds will be in for a treat at not too bad a blow to your wallet. 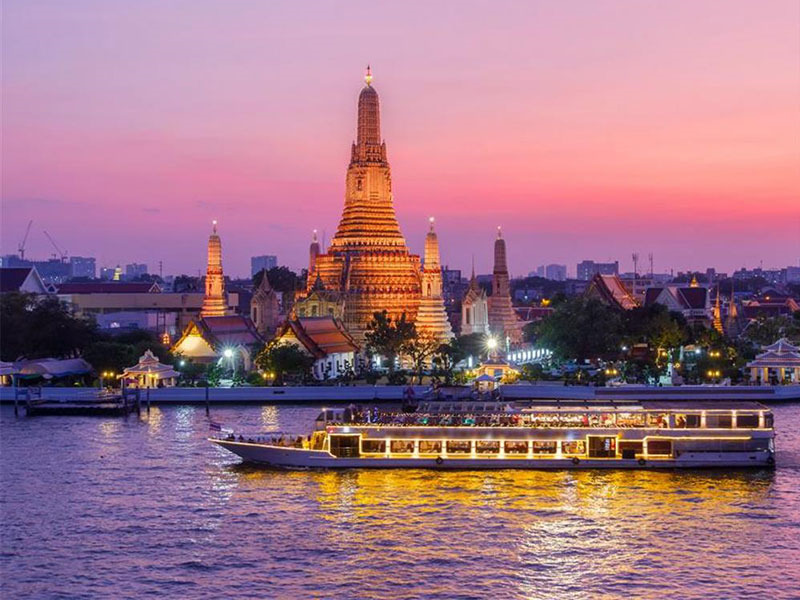 In Bangkok, you’d be missing out if you didn’t experience the amazing sunset outdoors. Better yet, with a cocktail in your hand and good company by your side. 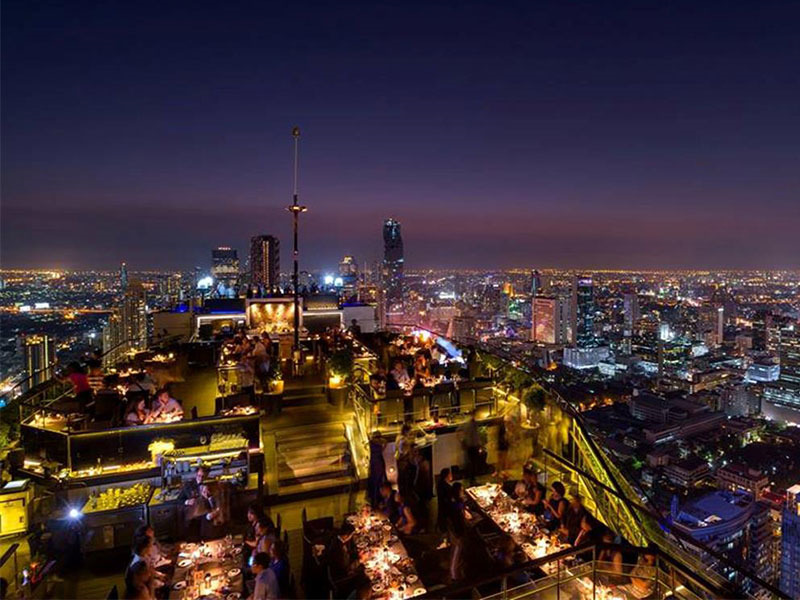 Bangkok boasts a number of places to enjoy this experience. The State Tower’s Sirocco or the Banyan Tree’s Vertigo and Moon bar are good choices to take in the city’s skyline while the sun goes down. 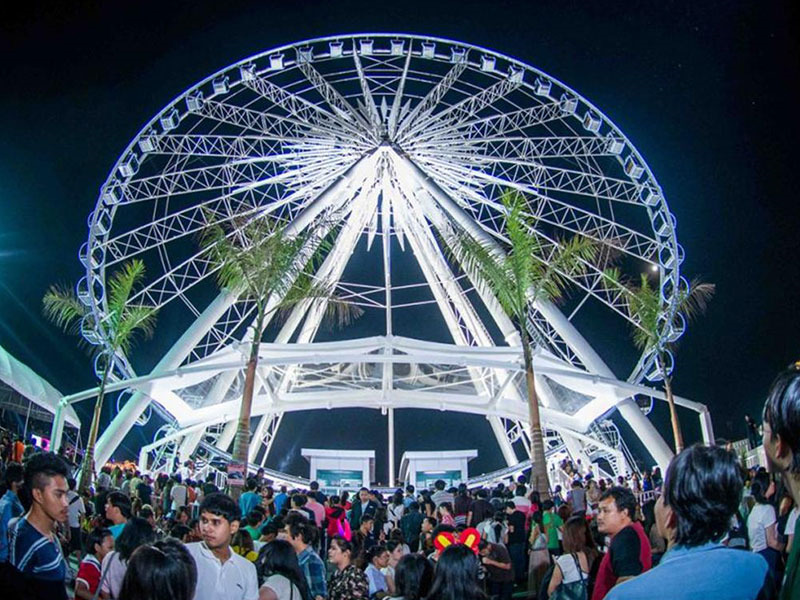 To enjoy both the experiences of a night bazaar and a mall simultaneously, head to Asiatique, the Riverfront. A short distance from BTS Saphan Taksin, this riverside harbor has been converted into an expansive complex with restaurants, shopping options, and other sights. It opens at 5pm in the evening, and you’d easily pass several hours exploring the food, shops, and shows offered. 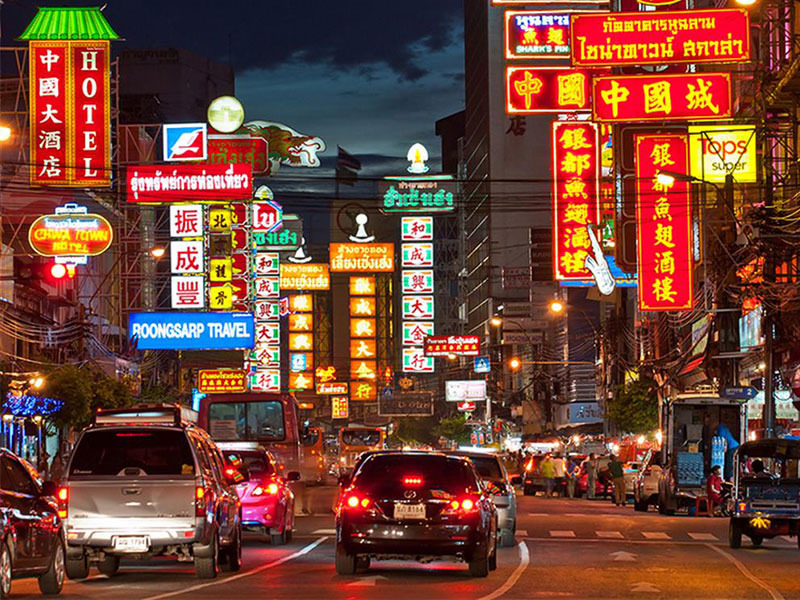 Soi Khao San is renowned among tourists for its cheap booze and vibrant nightlife. Less known is the parallel street - Soi Rambuttri. Unlike the former, Soi Rambuttri gives you a calmer and more local vibe. The narrow lane is lined with trees, with lots of restaurants and massage parlours for you to stop by. You can enjoy the lower noise levels while being accessible to the main party street. 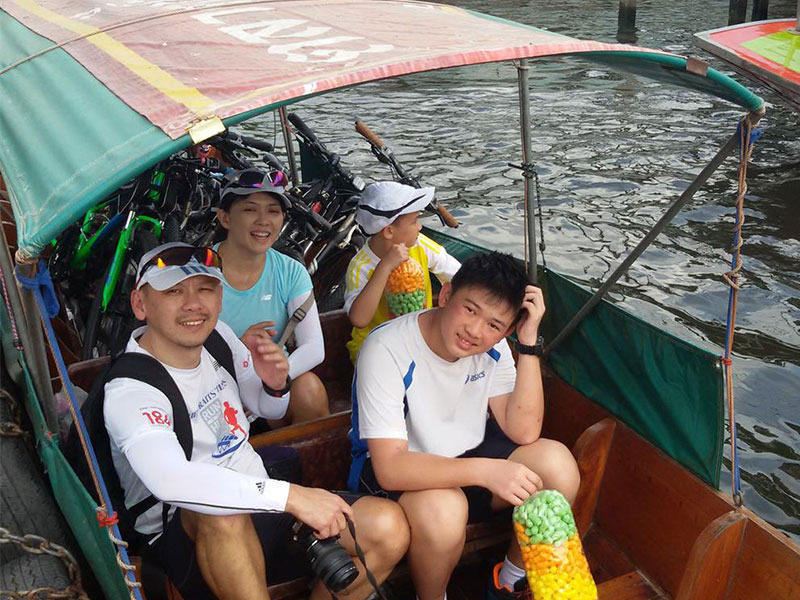 If you’d like a less urban sunset experience, consider taking a dinner cruise along the Chao Phraya River. Spend a serene evening on a teakwood boat or a sleek yacht watching the sun reflect on the water, turning everything gold. 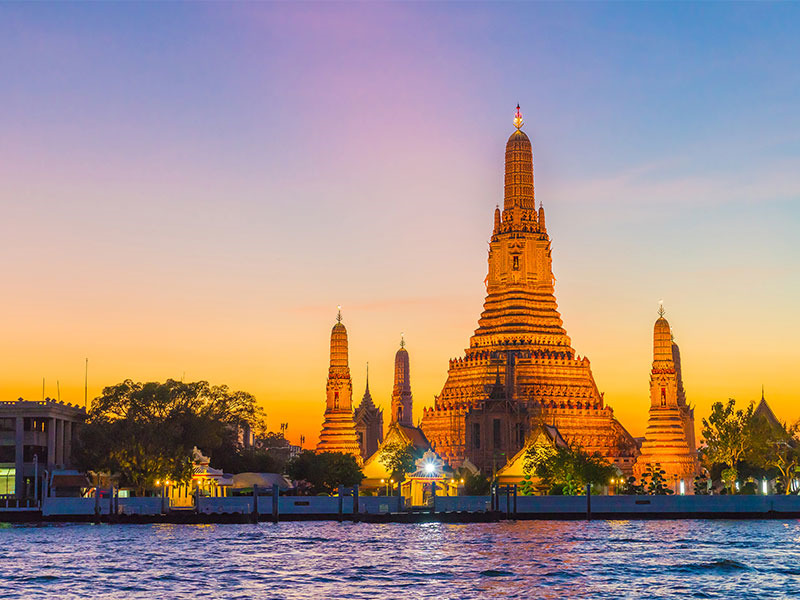 Enjoy the view of the Grand Palace, Wat Arun, and other iconic sites, while indulging in a delicious meal. In the 1970s, an African-American man opened the doors of the first pub on the street. The road later became known as Soi Cowboy as a nod to his trademark cowboy hat. 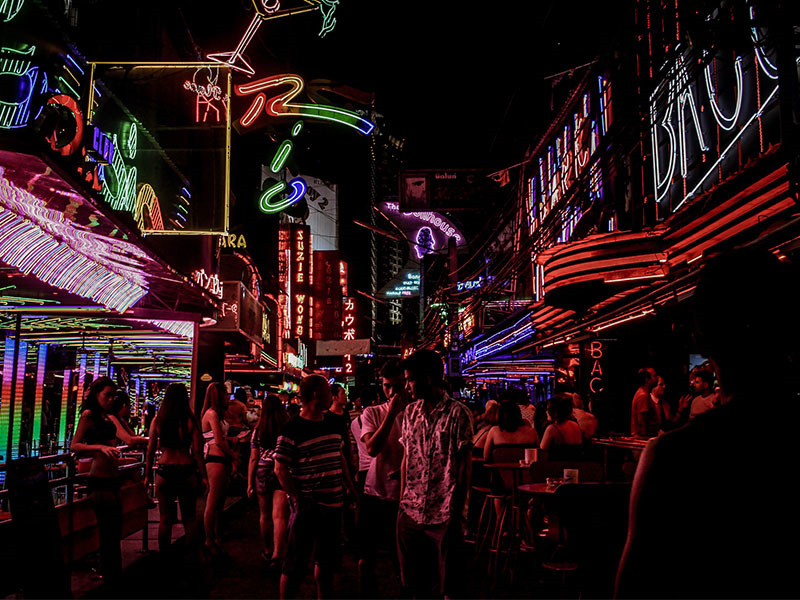 Unlike Patpong or Nana Plaza, Soi Cowboy has more of a festival vibe. The iconic neon lights are visible from quite a distance away, and the streets are filled with tourists, expatriates, and alluring women welcoming them in. 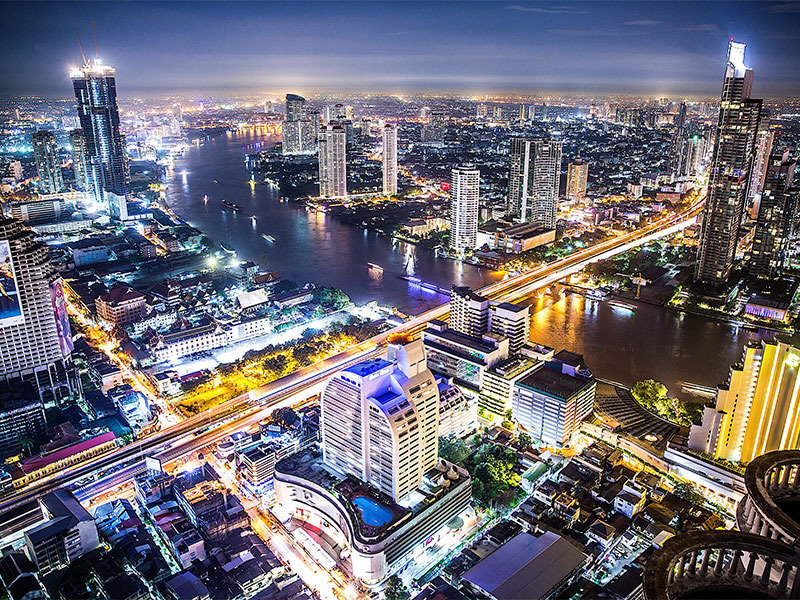 Bangkok is renowned for nightlife. It has come far from the old days of local clubs and go-go bars, bringing RCA into the scene. After the sun fades, RCA comes alive, with international DJs bringing the heat with rousing mixes. 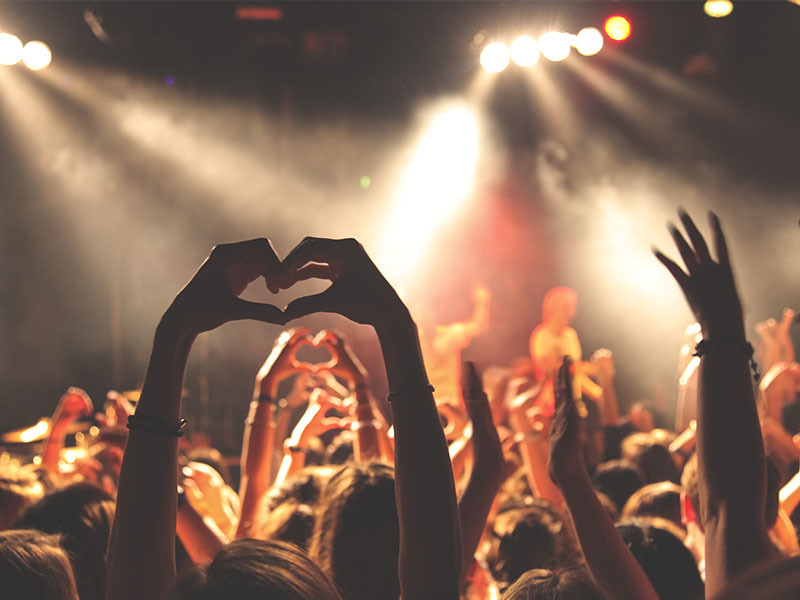 Tourists and locals alike come far and wide to enjoy a night out in the heart-thumping atmosphere.